My heartfelt condolences to the religious dignitaries & devotees of the Nyingma School, in particular those of the Katok tradition. I was very saddened upon being told of the sudden & unexpected passing of His Holiness Gyurme Tenpa’i Gyaltsen Rinpoche. I hope and continuously pray to the Three Jewels and the ocean of Protectors that all his remaining plans and projects to benefit beings will be spontaneously accomplished. 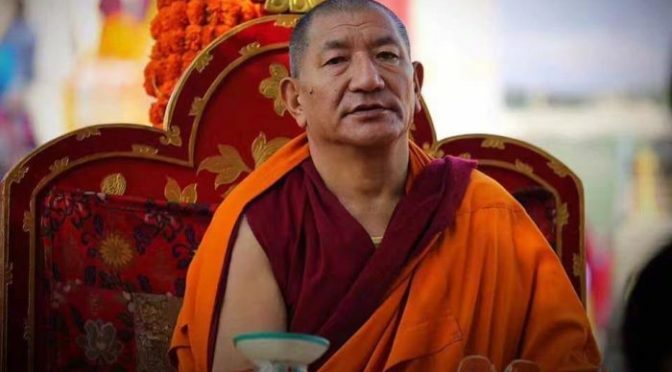 I pray that his supreme reincarnation will manifest without delay and hindrances, that his reincarnation will remain among us for a long time and that his deeds to benefit beings may be present and apparent through the ten directions. The wildfires currently sweeping California are the most destructive and the joint deadliest in its history, killing 31 people so far, with more than 200 people still unaccounted for. As we see these distressing scenes on our screens, may we offer our hearts for all of those who have lost their loved ones, their homes, their livelihoods. While it is natural for such news to give rise to emotion, let us also observe our minds carefully, for unchecked emotions can also leave a destructive path in their wake. At this time, and at all times, let us continue to practice the Buddha dharma, a practice of wisdom and compassion. 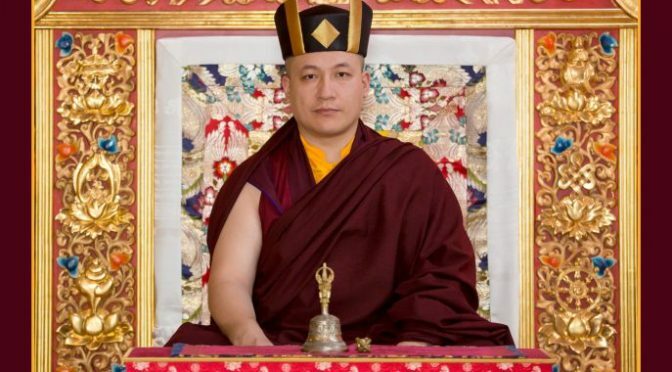 Thaye Dorje, His Holiness the 17th Gyalwa Karmapa, shares this message following several recent tragedies. Yesterday morning, a domestic flight from Jakarta, Indonesia, ended in disaster when the plane crashed into the sea shortly after take-off, killing all 189 people on board. This latest tragedy comes only one month after the nation suffered a devastating earthquake and tsunami, which claimed more than 2,100 lives. May we all pray for the people of Indonesia, as well as all those affected by other recent tragic events around the world, including the mass shooting at a synagogue in Pittsburgh on Saturday, in which eleven worshippers lost their lives.